The renown Moldavian brandy producer Calarași Divin has approached our studio with the task of creating a label design for a series of matured wines aimed for the international market. However, because the company’s name is strongly associated with brandy products, the new product line had to come under a totally different brand name, which would allow the company to distance itself from its rich yet very specific legacy, and focus on the new product itself and its unique properties. 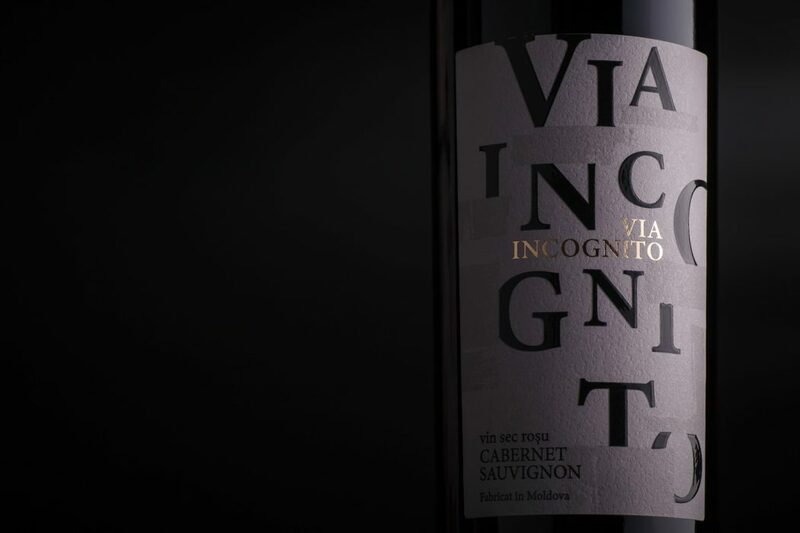 This is how the project for Via Incognito label design came to be. 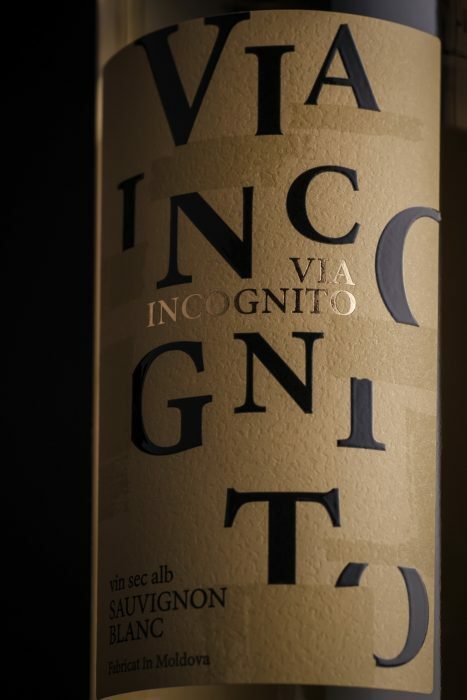 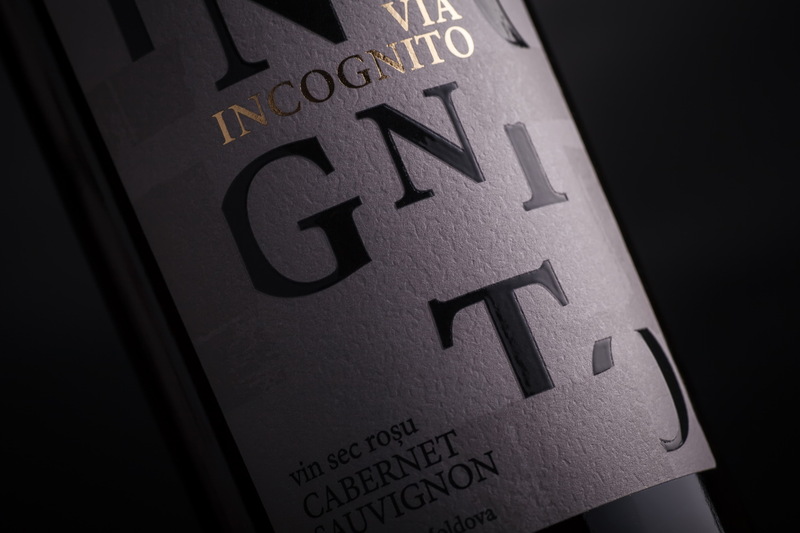 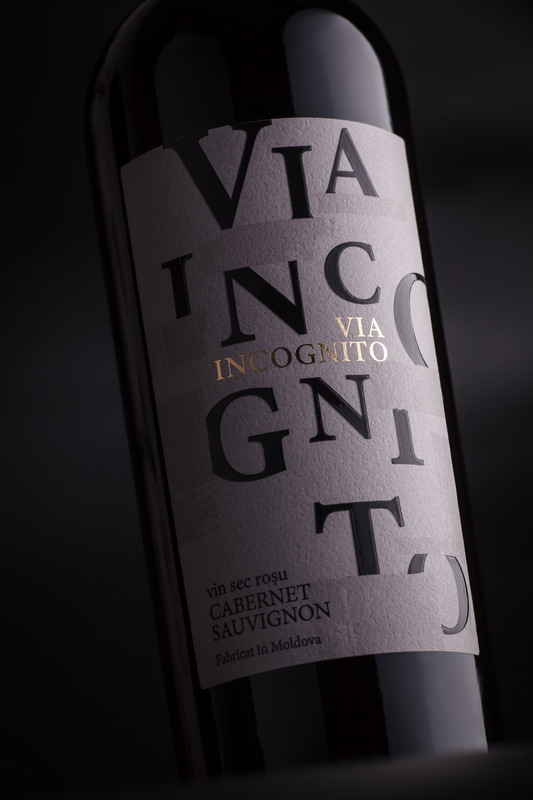 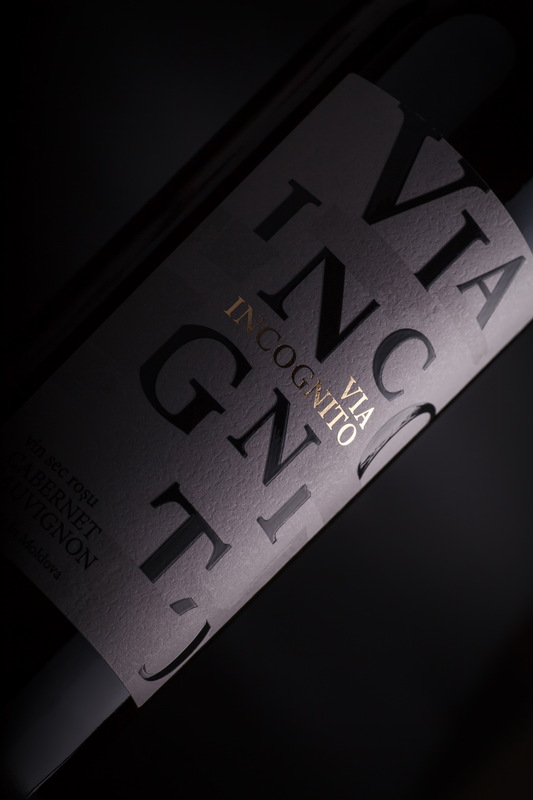 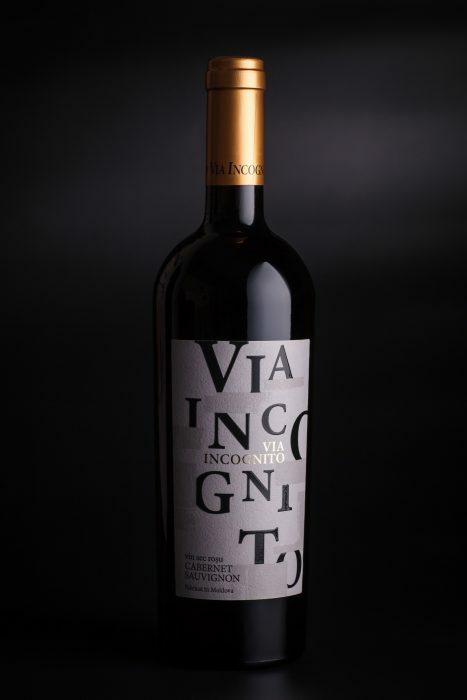 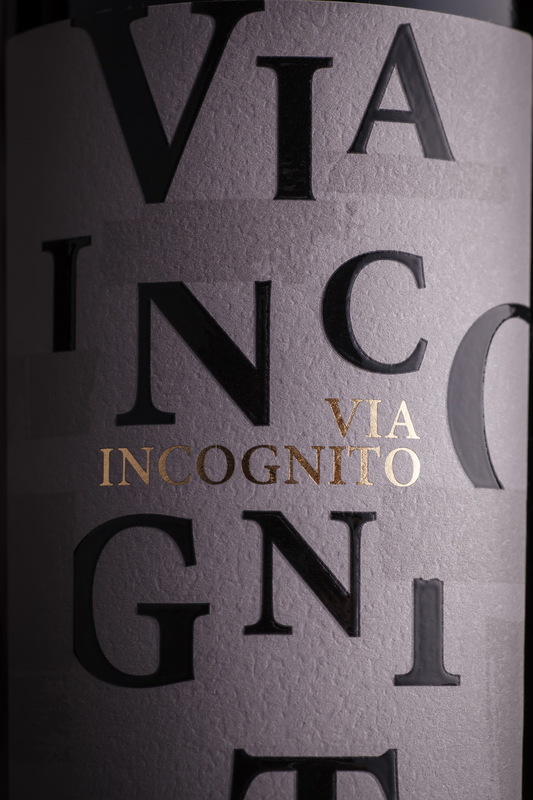 The concept behind Via Incognito is exploring something new, being open to pleasant surprises that can be found on an a path not taken previously. 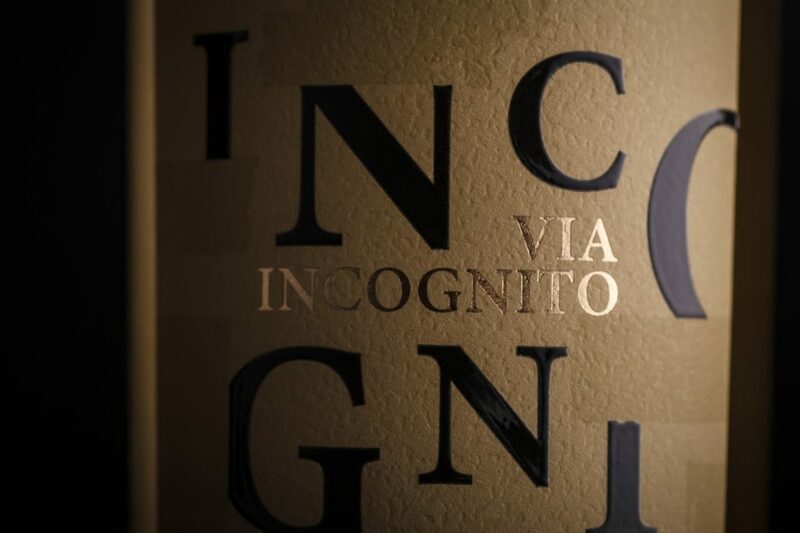 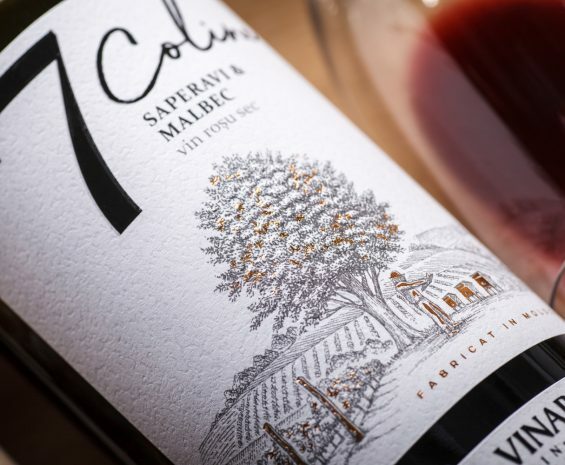 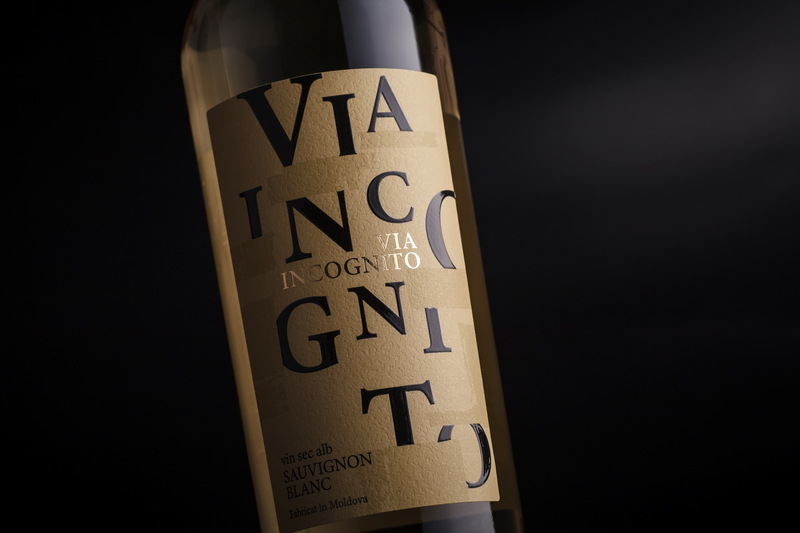 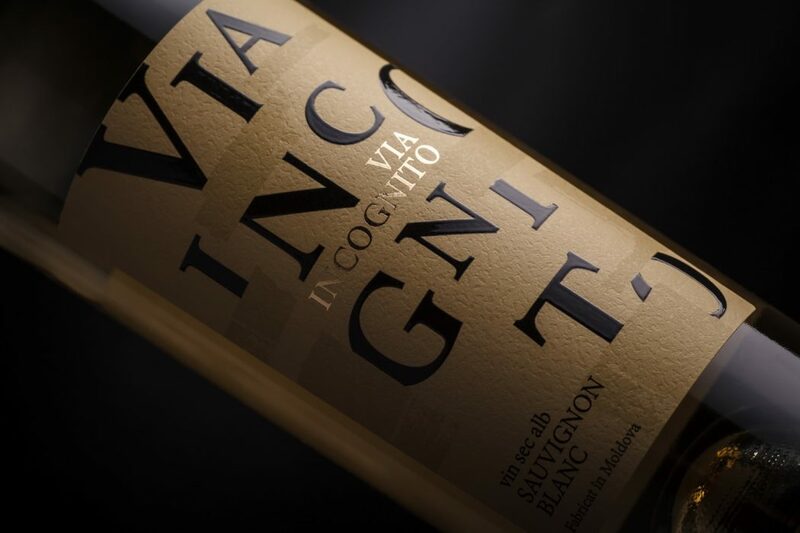 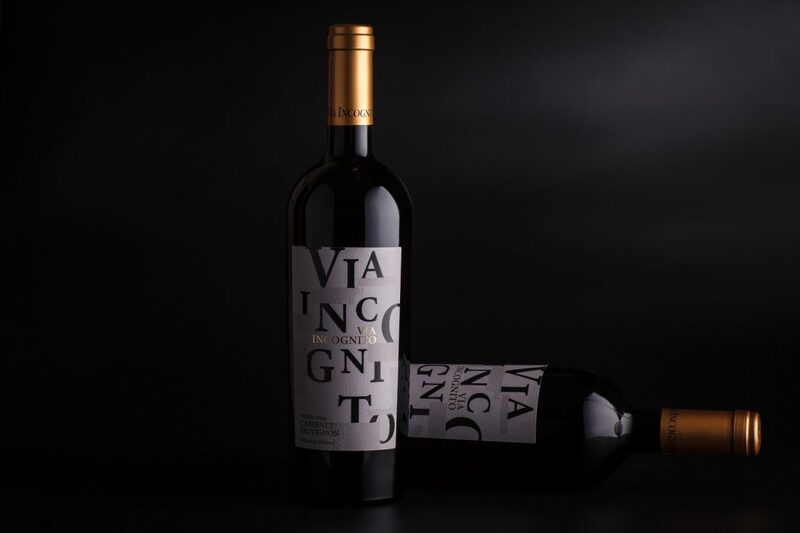 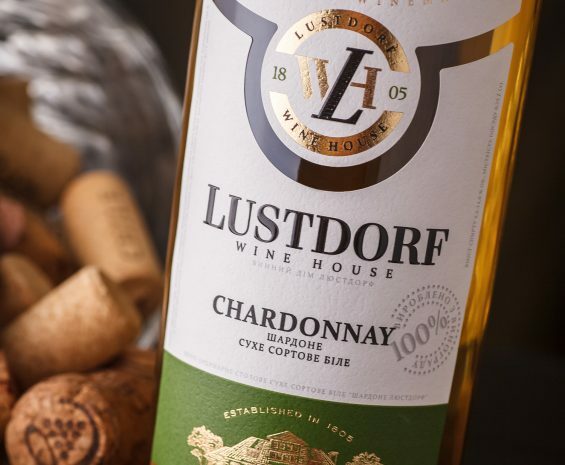 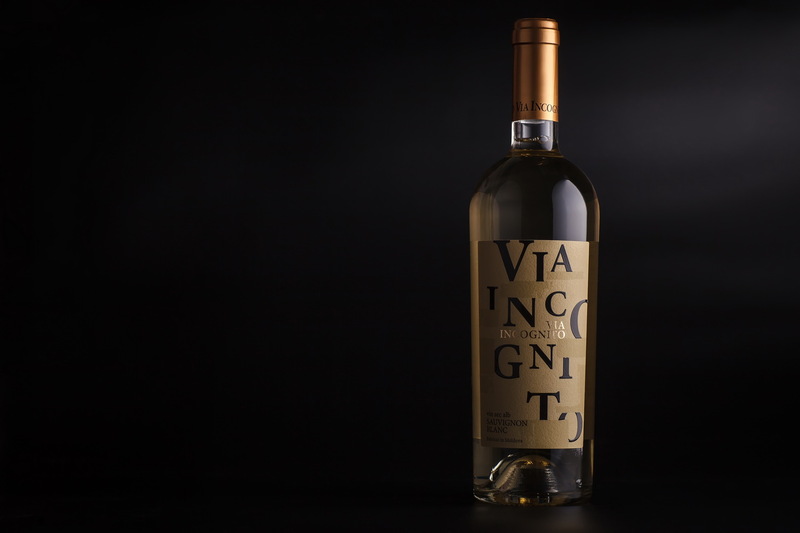 That is why the label design for the wines under this brand name wields a certain mystery, understatement, expressed through the gaps and lacunae in the inscription of the trademark that is distributed through the entire surface of the label. 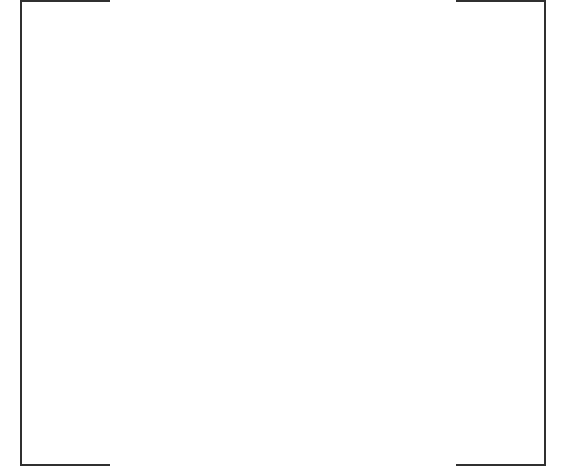 Strict, classic graphemes are interrupted by empty spaces like white spots on a map. 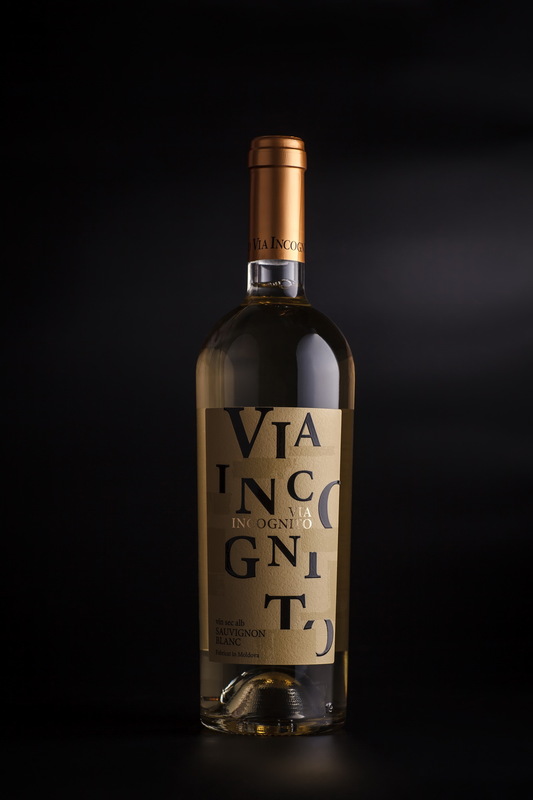 Formality and temperance are mixed with something new and unknown. 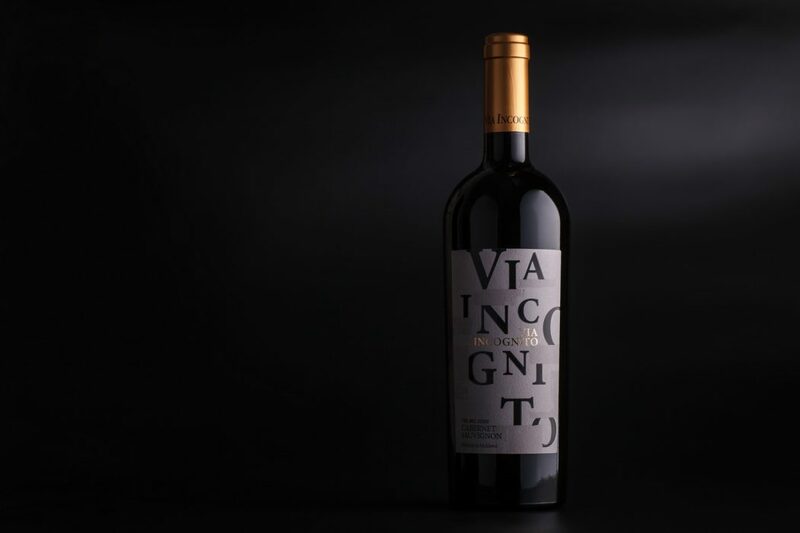 In order to amplify the effect tactile varnish has been applied to the label, which emphasizes the volume of the entire composition and makes the product more memorable.